**Mentioned/mentions: Obscure CanLit Mama was featured on the Fix It and Forget It blog (I wondered why a snack post from awhile back was suddenly getting so many hits). And, here I am on the Anansi web site. Still no book cover to show you, but you’ll be the first to know when the art arrives (and by first, I mean second or third right after husband and kids). 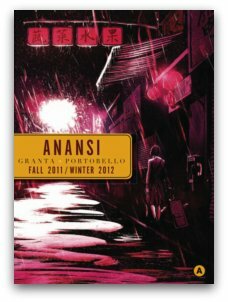 By the way, Anansi is up for a Booker prize tomorrow for Patrick deWitt’s The Sisters Brothers. Which is a Very Big Deal, and Very Exciting. My next book exists in a publisher’s catalogue. Look for it on pages 22 and 23, House of Anansi. My picture is in there too (does it look too serious? too intense? too “brooding-writer-who-would-be-no-fun-at-a-party”? Maybe I should send them a different photo for the cover). The irony, of course, is that I continue to polish this new book, so for me, it’s not finished enough to exist anywhere; the catalogue copy, to me, reads like a birth announcement made at 34 weeks gestation. I never named my babies in utero, and always felt a bit superstitious about pre-birth baby showers. Let’s get this baby born, bathed, and bundled before sharing the good news. But how done is done? I remember a funny conversation with the doctor who oversaw the early months of my first pregnancy. I said, “So when I get through the first trimester, I can stop worrying, right?” (I was terribly anxious about miscarrying). And she gave me an odd look: “Um, I’m not sure you ever stop worrying,” she said gently. Riiiiight. So I suppose, if conflating book-production with having children (a facetious comparison, let’s be honest), it stands to reason that even with the last “t” crossed and “i” dotted, joy will continue to mingle with unease. The other morning, we were reading an article in the newspaper about a man who is training for a traithlon. It’s part of a regular weekly series: the paper profiles someone relatively well-known and a trainer helpfully critiques his/her exercise plan. I was shocked by how little training this man was doing, and how confident he sounded, and Albus thought that the paper should come and interview me instead: “You should be in the newspaper, Mom.” I explained that the fellow was being profiled not for his excellent triathlon-training, but because he was relatively well-known. But, I said, when my new book comes out, we probably will be able to read some things about me in some newspapers. The kids were blown away by the idea. That’s when it struck me: Albus and AppleApple were 2 and 14 months, respectively, when Hair Hat came into existence. They had zero awareness of their mother being anything other than their mother. It was news to everyone that, in fact, I’d been in the newspaper when Hair Hat came out, and they thought this was just plain awesome. But dancing oneself into the public eye involves grabbing for a double-edged sword. I was fortunate enough to read multiple positive reviews of Hair Hat before the first negative review came in, several months post-publication. It gutted me. (Obviously, I recovered). So that’s what I explained to the kids: when the new book gets reviewed, we all have to pray that it falls into the hands of readers who appreciate it. Because no book will please everyone, and there’s much luck-of-the-draw fate that can befall a book. Such is the way of art, and individuality, and taste. Even positive reviews almost always highlight some small flaw, as if to note: nothing’s perfect. Fair enough. Nothing is. I think this sobered the kids up a bit. Me, too, but for different reasons. Last time around, it was really just me who was affected by the publicity process. I could turn away and bury myself in my babies’ oblivious needs. I identified myself, even in my own head, as “mother,” not “writer,” and that comforted me. This time around, it’s different. I’ve got no babies, nor have I the prospect of more. Instead, I’ve got some interested parties tagging along for the ride. And I’m beginning to wonder: what’s the tipping point at which I become more working-mother and less stay-at-home mother? It feels like I’ve metamorphosed without noticing, during this long stretch between books. I’ve been wanting to blog about this book since finishing it, and should have written my thoughts down immediately, as I’m now into a completely different book called Eaarth, by Bill McKibbon (also worth blogging about in a welcome-to-the-present-and-happening-nightmare-of-climate-change way). Unlike Eaarth, Annabel is fiction, and an entirely different book, though the situation it describes could easily represent another kind of nightmare. That it doesn’t tells a great deal about the author’s sensibility. Imagine giving birth to a baby with ambiguous genitalia: the child is both a boy and a girl. There are a variety of directions in which a writer could take this idea. Kathleen Winter doesn’t go anywhere expected, yet the story she tells has the familiarity of truth about it. Set in a tiny town in Labrador, in a landscape that is brutal and stark and wild, Winter writes about this child as if he were as natural and normal as any other. He is loved, in all the complicated and heart-breakingly ordinary ways, by his parents. But he is also different. His difference depends on who is looking at him, and on what he means to the other person — what he represents. To his mother, he is partly the daughter she did not let live (in the sense that her child’s femaleness was denied from birth onward). To his father, he is a child that must be trained the right way, to become a man, no matter the pain and consequences; his father sees that choosing a stable identity will protect the child from harm. To the neighbour who attended his birth, and knows his body’s secret, the boy is just as much a girl, and she quietly nurtures the girl-side of the child. His body is a secret to everyone but these three, including to the child himself, until he is a teenager, and he is raised as a boy; but Winter delicately draws him so that we understand that he is both. He is not one or the other. He is himself. The book made me reflect not only on gender, and how gendered our world is — the way there are clothes and colours and toys and emotions and expectations for boys and different clothes and colours and toys and emotions and expectations for girls — but it also made me reflect on individuality, and the preciousness and potential of each and every life. Roles are rigid. Individuals are not. What potential any of us have if we are loved. How the self longs to flower in the light of love. The week has gone by in a blur. I’ve had less energy, yet have stuck to the basic routines. And here we are, arrived at a holiday. Kevin is home from work. So I am working. Yes, I am upstairs in the playroom/office typing away on a new project that I plan to reveal next week when it goes live. Stayed tuned. This week has seen its ups and downs. And downs and ups. One item that started up, then plummeted down, (thankfully not literally), was our porch, which we hope to rebuild this summer. It’s been steadily decaying due to water damage, and might make it one more year before falling off the front of our house–might. So we’ve been saving our pennies and gathering quotes from contractors and builders. And in the midst of this planning, my friend N offered an exciting suggestion: while we’re rebuilding the porch, could a tiny home office be built, too? There is a perfect place for it: we have a door that leads off the dining-room onto the side porch, and both door and side-porch are currently underused; wasted access, and wasted space. Would it be possible to create an insulated room right there? I have to confess that I was/am hugely excited, giddy almost, to be entertaining the idea of having a home office — a real writing space, a room of my own. I could imagine it in perfect detail: spare and functional, with white painted wood, tall windows, a wall of bookshelves, and a desk. Simple. Perfect. My feelings were/are almost covetous. Drooling. Dreaming. Well, here’s the down. We got our first quote for the job and it was double our budget. And we thought our budget was pretty generous. Did I mention that the quote was just for rebuilding the porch? Nothing to do with adding on said fantasy writing room? We’re not quite back to square one, because quotes can vary wildly; but my home office bubble is suffering serious deflation. And you know, maybe it isn’t my time, yet. I need to earn entry into the perfect writing space. I need to sell more books, more words. (Words for sale! Words for sale!). Speaking of words for sale, I had a pleasant chat with my agent yesterday. And I have news! My second book, THE JULIET STORIES, will be published earlier than originally anticipated: look for it in stores this coming March (in Canada, that is). Which means that there is exciting work ahead, also sooner than anticipated: editing the manuscript on a micro rather than a macro level; discussing cover design; meeting the kind people at House of Anansi; and planning publicity for the book. Yikes! Yowza! Woot! But enough of ups into downs and downs into ups. Time to stop typing, stop working, and let this space revert back to a playroom for most of the rest of the weekend. It is a holiday, after all. 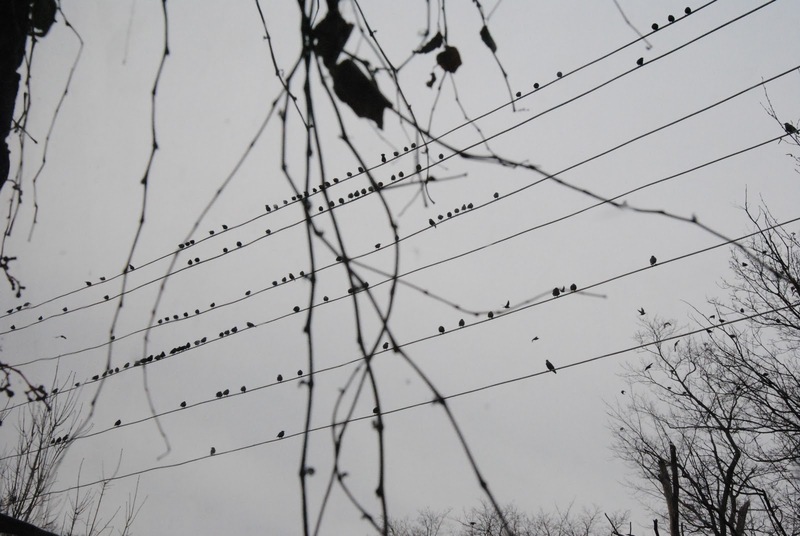 It’s been awhile since I’ve blogged on a writing day. But I have a feeling today is going to be a good day. Here’s why: the manuscript is ready to send, save for a few crossing of t’s and dotting of i’s, and my editor has given me the green light to send it to her. In the months that it’s sat quietly waiting, I’ve had the chance to polish some stories, and decided in a fit of dissatisfaction last week to completely rewrite one, which seemed weak and undone–the notes to a story rather than a completed story. I didn’t want my editor to read it as it was. I knew it could be better. Last week, I picked and picked at it, with discouraging results. At some point, probably during a yoga class, it occurred to me that the story contained too many disparate elements, and specifically, too many narrative threads that didn’t cohere. Of course, I was quite attached to a couple of those threads, which is why they were still in the story (it’s funny how that works; I actually recognize the problem, but am attached to it, and defend it until it becomes glaringly, arrestingly, hideously clear that it’s indefensible, and we must part ways; I soothe myself by thinking, hey, never know when this might become useful some other time, some other place, some other story). So I scrapped a lot. And suddenly–it was suddenly–on Monday afternoon, as the clock ticked down toward babysitter-going-home-time, my brain jumped tracks and my fingers leapt across the keyboard, and I closed my eyes and typed. The story finished itself. This does actually happen; it isn’t a writing myth. I would never have been able to plot this story and its ending out in advance. I had to wait and wait and tough it out and hang around and attend with patience and hope to receive what arrived, at last, like a gift. I’ve been thinking about the image created ever since. It comforts me in my mind’s eye. I will tell you what it is: the empty cellar of a burned-down house, overgrown and abandoned and forgotten, and in the centre of the cellar is a box, perfectly placed, left to the elements. Do you want to know what’s in the box? Well, I’m not going to tell. With some more work done on Wednesday, and the finishing polishes today (hello, my friend Spellcheck), I will send The Juliet Stories away with a light heart. There is more work to be done, of course, because there always is. But I have gotten the manuscript to the precipice, to the furthest corner of the earth that I can currently carry it. And I will be happy to set it down and rest apart from it for awhile, til a new map arrives to show me a way to get even further, even deeper into territory I can’t yet imagine. In other news, I received a package yesterday and it had a book in it–not mine, though my name was on the back, beneath a short review I’d written of the book itself. I will tell you more about this book when it becomes available in stores next month. It’s called Up, Up, Up, and it’s a book of stories by a first-time writer (whom I do not know, but look forward to meeting someday; the CanLit world is a teeny-tiny world). I wonder what picture I create–of my life, and of my character–here in Blogland, and whether it relates, even somewhat accurately, to reality. I don’t mean that I deliberately attempt to misrepresent myself, only that I often blog about best intentions, questions, hopes and plans, and forget to follow up with the hey-here’s-what-happened-with-that post. 1. Kids playing outside, alone. The most wonderful thing happened this weekend: two boys from Albus’s grade, twins who live up the street, spontaneously appeared on our front porch, dressed in winter garb and throwing snowballs, to invite Albus to play with them! Seriously! No parents were involved (though we did give Albus permission to go). Off the three of them went, tumbling like puppy dogs, to have a snowball fight. And the twins came back again yesterday, and Albus spent about three hours playing outside with them, all over the neighbourhood, all on their own. I am thrilled. And I had not a moment’s pang about his independence and freedom to wander. I think this has to do with several factors: he’s old enough, and he’s not alone, but with friends. 2. The book. The publisher. The tentative pub date may sound like a long way off to anyone not involved in writing and publishing books, but sounds plenty soon to me: Fall, 2012. I’ve been working with Anansi’s editor, Melanie Little, for several months now, and if you spot me mumbling to myself on the walk to school, or looking particularly grumpy/lost/absent, please be kind. The transition between writing time and mama-time is not always smooth, especially if I’ve had to leave a story unfinished (which is most days). Don’t take offense, run in the opposite direction, or report me to the authorities, please. Really, I want you to approach and talk to me. Throw me a lifejacket. Pull me out. I am thankful for yoga, which gives me time to empty my mind so that it can be filled anew. I am thankful for a recent writing week, which yielded another story and a half, and solid new ideas to boot. I am thankful to Kevin for doing more dishes and cooking more suppers than he did even a few months ago. I am thankful for an excellent nursery school, public school, and babysitter. And I am most thankful to have a publisher’s support backing this work. I won’t say it’s erased all anxieties or doubts, but it’s a true gift to know others are out there, rooting for this book, and doing their best to make it all that it can be. People, I am dreaming green and living grey. I drive my kids to swim lessons (yes, it is walking distance). On a rotten weather day last week, I drove to pick up the kids from school. I had no excuse except convenience and comfort. And I keep using the drier! (There continue to be lice outbreaks at school, but still …). Last Wednesday, while Albus was at piano lessons, I lost my mind at the grocery store (at least I’d walked there), and in a sleep-deprived haze grabbed off the shelves several boxes of snacks and treats. Packaged up in plastic and cardboard. With ingredients I can’t pronounce. Better versions of which I could have made at home. There. I won’t go on. Just know that my intentions are good, but they are not good enough. Probably. But that’s all for now. I am inches from finishing a Really Good Story. I’ll let you know how it turns out … or will I?